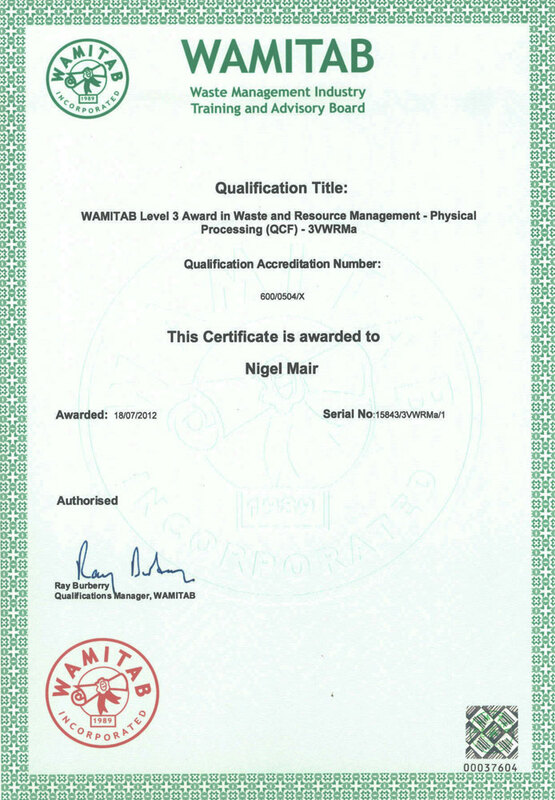 Environmental Leadership Ltd is a WAMITAB approved Assessment Centre offering the full range of waste related qualifications leading to technical competence. Having worked with the waste sector for over 20 years we are able to offer you a personal service based on a real appreciation of the issues affecting you. This means that we will not simply go through the motions with you, ticking boxes and then issuing a certificate. Our approach is to support you and add real value. We will do this by offering guidance wherever we can to actually benefit you and your business. This will vary from person to person, but might be by improving your overall knowledge of legislation, assisting in the development of your management systems, or enhancing your permit compliance.